Personalized Engraved In Our Hearts Forever Glass Picture Frame. Make the memories last for year to come. This is the perfect sympathy gift that says everything you feel in your heart when the words are difficult to say. 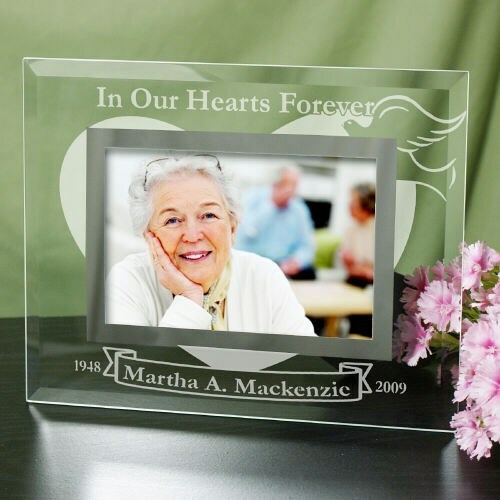 Give this Engraved Memorial Picture Frame to a close family member or friend to help them through the challenges of life.